Make your dreams of home ownership a reality, even if you have fallen short of your goals in the past. The client-centered team of loan specialists at Fidelity First offers a number of options for mortgages in Annapolis, MD. Our group has grown by leaps and bounds since we first started doing business more than 20 years ago, and we are ready to tailor a mortgage solution that fits your needs, and your unique situation. Your family deserves a place to call your own, and our representatives are ready to do anything we can to make that a reality. Our loan specialists take the time to listen to your needs. Whether you have a history of late payments, or an imperfect credit rating, our flexible standards for lending can get you pre-approved without any needless delays. Purchase a new home, or unlock the equity in your existing home with the help of our licensed (NMLS ID# 118731) lending specialists. Even if you have no property of your own, our approval process has been streamlined to help you secure the right home. If you currently own a home, then we can work with you to renegotiate your existing mortgages and improve the home you own without delays and hidden charges. Pay down your existing debts and establish a base for future financial security when you refinance your existing home mortgage through our proven process. 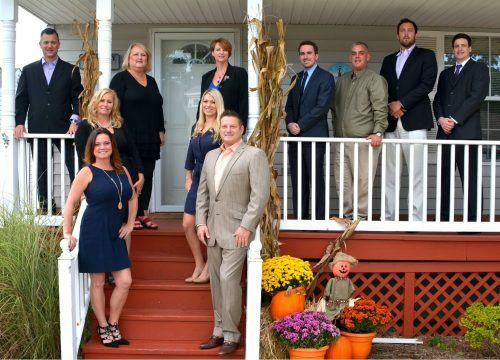 As a mortgage specialist serving the greater Mid-Atlantic region, we focus on the communities we serve. Our responsive approach means you get the answers to your questions about mortgage lending. Instead of guessing your way through this crucial process, establish a partnership with a group of loan officers that understand the challenges you face. We work directly with those who have less-than stellar credit; because we feel that everyone deserves a second chance at good credit. Having a place to call your own is an integral part of the American dream, and we want to help you make that dream a reality. Break free of the financial limitations that have been holding you back for too long. Owning a home allows you to take advantage of various tax benefits, and the equity in your existing residence can help you pay for a new car or a college education. We provide you with a broad array of options that can help you pay off your existing debts and enhance your income after retirement. Contact us today to secure the mortgages you need for a new home purchase. We proudly serve clients throughout the Mid-Atlantic region, including Maryland, Virginia, Delaware, Florida and Washington, DC.